Mum died in Blackpool Victoria Hospital early on the evening of Monday, 8th January 2018, after four days in hospital. 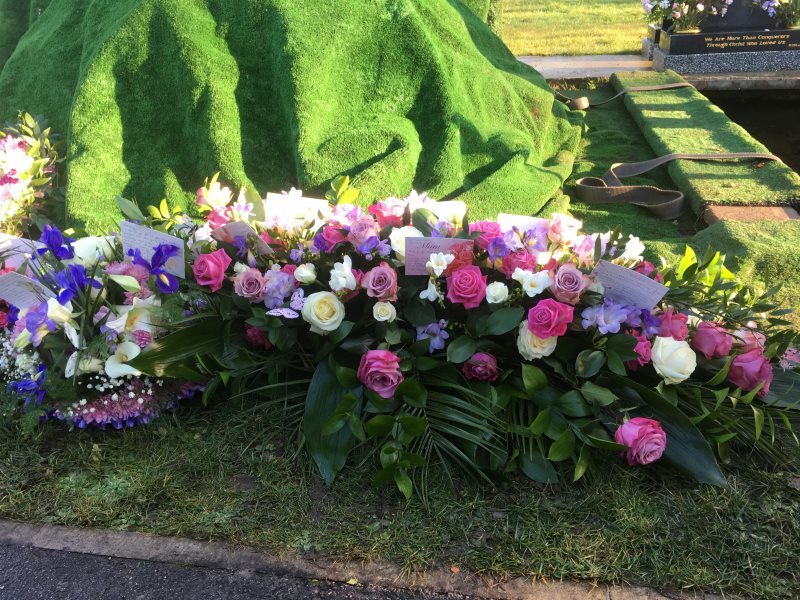 She was aged 93 and her funeral was held at the Well Church, Ansdell (formerly Ansdell Baptist Church) on a bright but cold Friday afternoon, 26th January 2018. 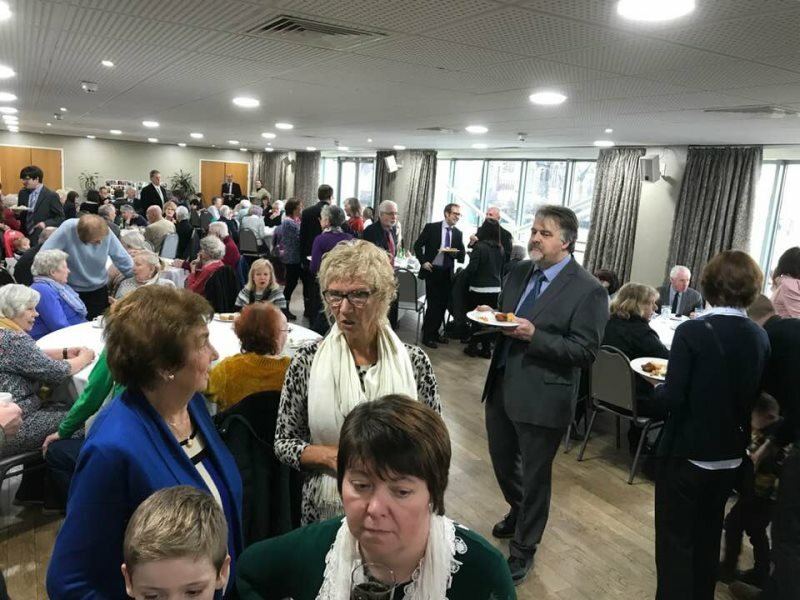 As was the case for Dad's funeral, there was an attendance in excess of 200 people for a 90 minute celebration of her life. Photo left: Mum and Dad together at the dining room table of 26 Rossall Road, place of so many happy family occasions and memories. 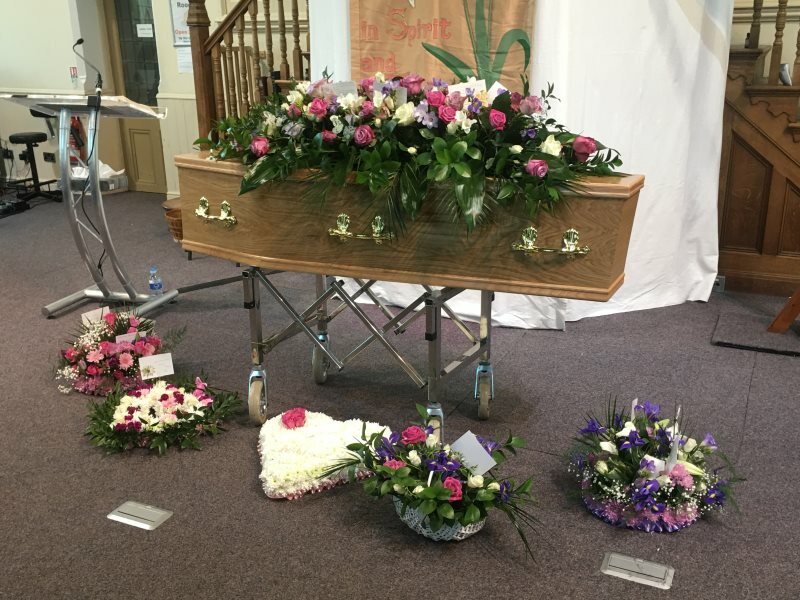 Friends spoke of it as being the best funeral service they had ever attended and, as family, we were privileged to contribute in different ways so as to paint a picture of the wonderful mother, grandmother and great-grandmother we all remembered with such affection. Pastor Rick Oldland led the service sensitively and with dignity. 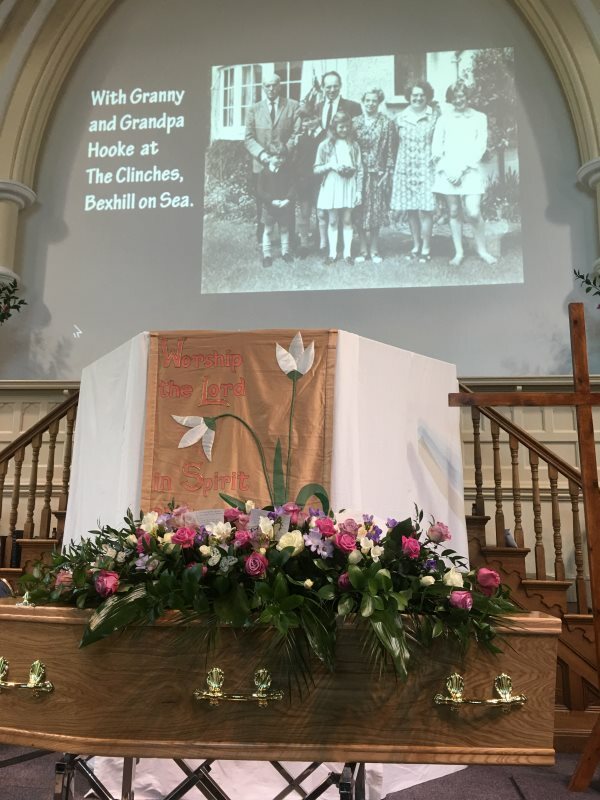 Musical contributions from the family were extensive and included cousin David Hooke and his wife Nicki adding wonderful trumpet and solo vocal contributions during the service (Adoramus website). Kath Dodd introduced proceedings by playing a beautiful rendition of Clare de Lune by Debussy and Richard Hooke played piano for all the worship, ably leading the band which included other family members: Sarah Pinninty (violin), James Dodd (drums), and Charlotte Hill (sax). Andrew Hooke played a moving solo arrangement of "Now Thank we all our God", a hymn which includes the most appropriate line of thanksgiving, "who from our mothers' arms has blessed us on our way with countless gifts of love and still is ours today." 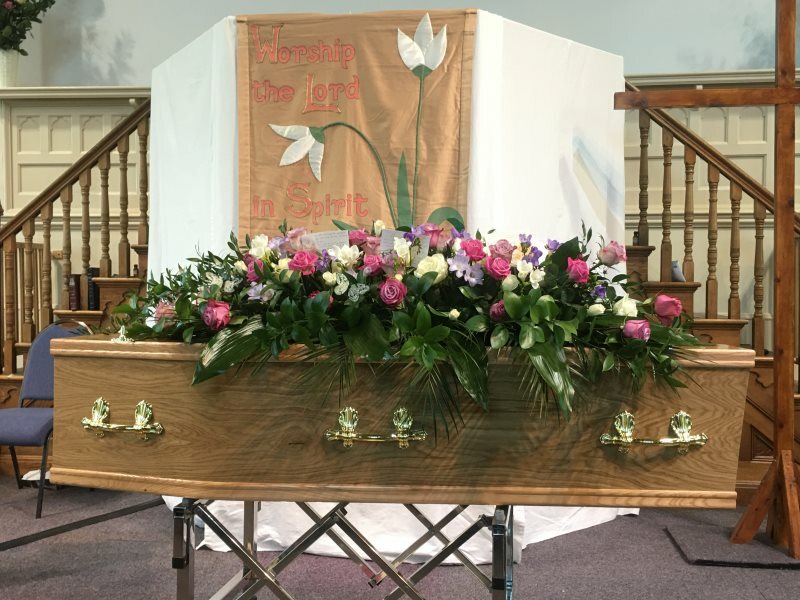 Kath Dodd and her daughter, Beth Roberts, delivered an inspiring and comprehensive Eulogy. 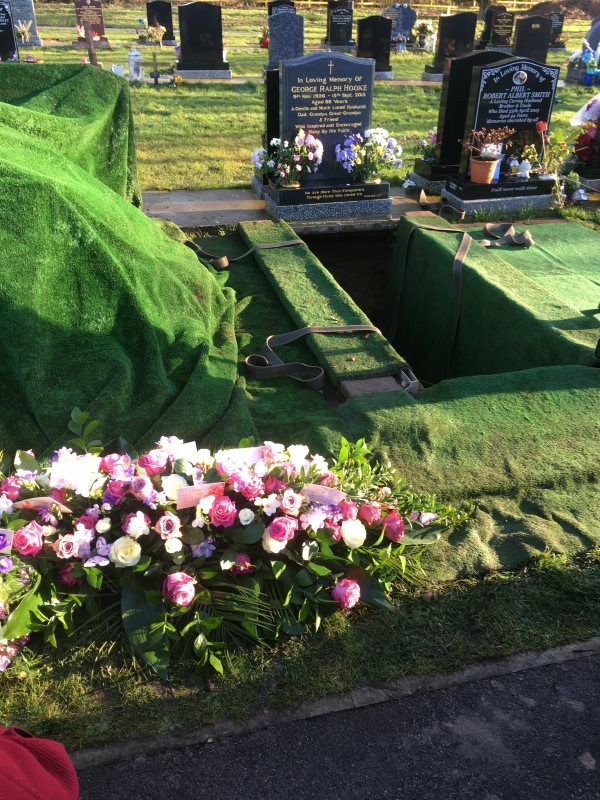 From Canada, Rowan Percy sent an audio recording of her memories of Mum in the form of this beautiful tribute. Wendy Hooke movingly shared her own personal memories of Mum. Rick Hooke put his memories of Mum in this concise and humorous poem - My Mum. 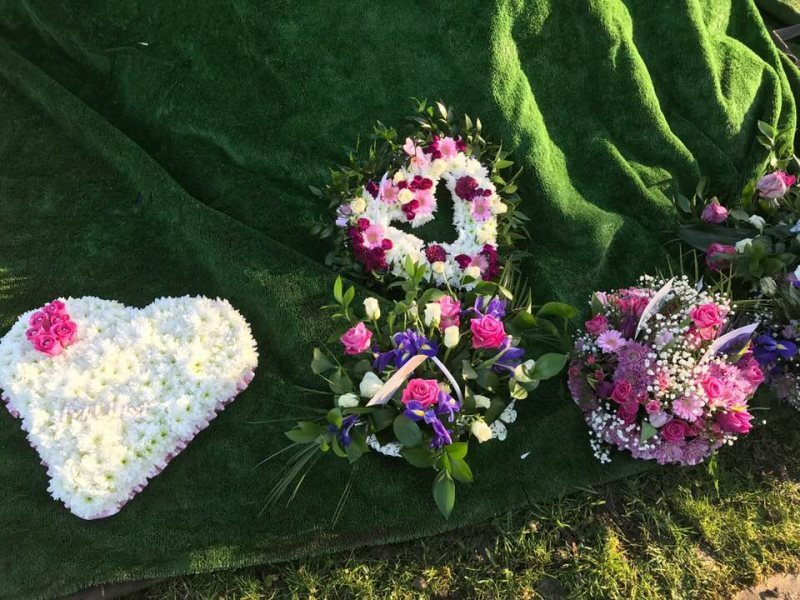 Sarah Pinninty, a doctor, had spent several hours with her Granny over her final weekend and shared some of her last words with us. I reflected briefly on the time of one of the most difficult yet blessed moments of Mum's life followed by my wife, Ruth, reading a short poem, "Unwaning Treasure" (shown here - click on the image for a transcript and the intro) which Mum had kept in her Bible from that time in 1947/8 until her death. Click on the Order of Service shown above to see how the service progressed. 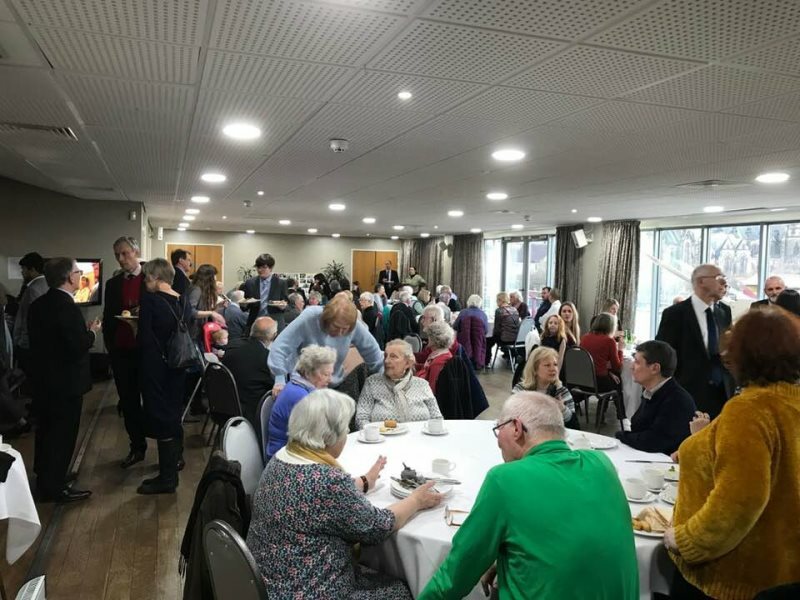 A powerpoint of images from Mum's life was played before the service and later at the reception held at Fylde Rugby Club where over a 100 people stayed behind for several hours. The slide sequence shown below is a fuller visual record, originally put together as a powerpoint for Mum's 90th birthday celebration (2014) and added to subsequently to provide more detail about some of her early experiences, as well as her final days. Hover over an image to pause show, doubleclick to enlarge image.